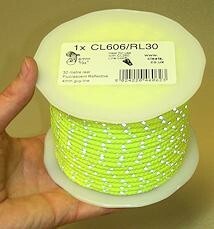 Help prevent tripping over your tent lines during the day and night by using this reflective guyline. 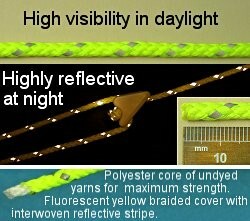 The fluorescent colour combines with the reflective strip to give a high visbility guyline. Invaluable at night. Woven with a core from polyester fibres. 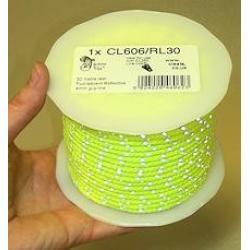 This guyline is very strong, suitable for use with CL260 Line-Lok®. Only 169.46 m left in stock, after the stock is empty this product is not available.